Gujarat will vote today in the first phase of the assembly elections to elect its next government. The first phase of voting will be held for 89 assembly constituencies in Saurashtra and south Gujarat regions from 8 am to 5 pm. 977 candidates will battle it out in the first phase of the Gujarat assembly elections. The second phase of the assembly elections will be held on December 14. Results will be out on December 18. The Bharatiya Janata Party or BJP has been in power in Gujarat, Prime Minister Narendra Modi's home state, for an uninterrupted 22 years. As the BJP is looking to stay in power for a fifth term, the Congress is also hoping for an electoral revival. According to election officials, 2.12 crore people are eligible to vote in the first phase. The smallest Gujarat assembly constituency by size is Karanj at 4 square kilometres; the largest is Abdasa at 6,278 sq km. The constituency with the least number of voters is Surat North with 1,57,250 and the highest number of voters is in Kamrej with 4,28,695, according to the Election Commission. The maximum number of candidates in a single constituency is at Jamnagar Rural, where 27 candidates are contesting. The least number of candidates in a single constituency is in Jhagadia (ST) and Gandevi (ST) with only three candidate each. 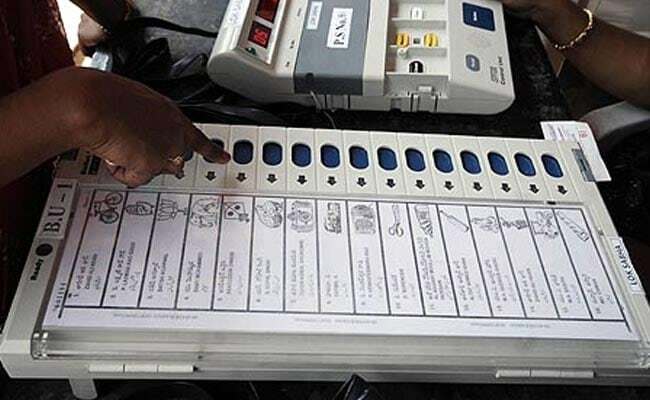 The total number of electronic voting machines or EVMs to be used in the first phase is 27,158 and the total number of polling stations is 24,689. Out of the 977 candidates in the first phase, 920 are men and 57 women. The BJP has fielded 89 candidates and the Congress 87 in the first phase. The Bahujan Samaj Party has fielded 64 candidates. There are 443 independent candidates. Prominent candidates in today's battle include Gujarat Chief Minister and BJP's Vijay Rupani (Rajkot West), and Congress's Shaktisinh Gohil (Mandvi) and Paresh Dhanani (Amreli). The BJP sent a battery of its senior leaders to campaign in Gujarat -- union ministers Arun Jaitley, Rajnath Singh, Nirmala Sitharaman and Yogi Adityanath, among others. The Congress campaign machine deployed former Prime Minister Manmohan Singh, P Chidambaram and other former union ministers. The second phase of the assembly election will be held on 93 assembly seats in north and central Gujarat.